Last updated on January 9 2019. Available for a fee ($3/month). 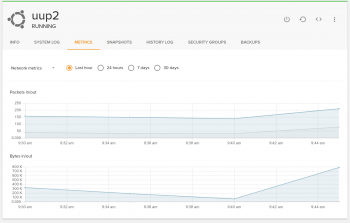 Network bandwidth, load average, RAM usage in SolusVM. In Solus control panel, "Network". The split management UI with different credentials between WHMCS and SolusVM is not optimal. 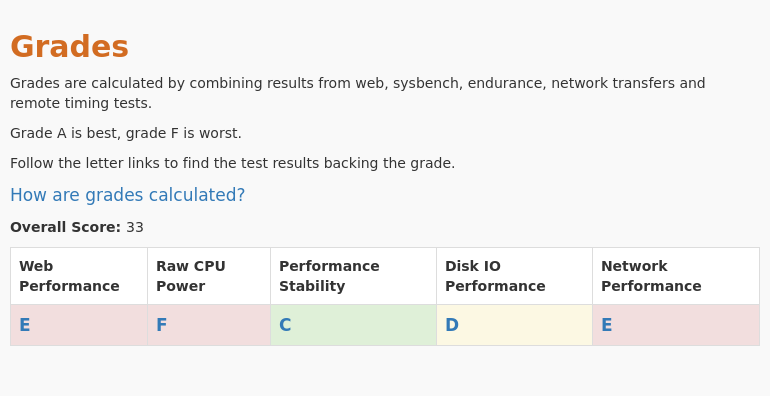 The Screener shows all Ramnode plans side by side with their grades in 5 categories. 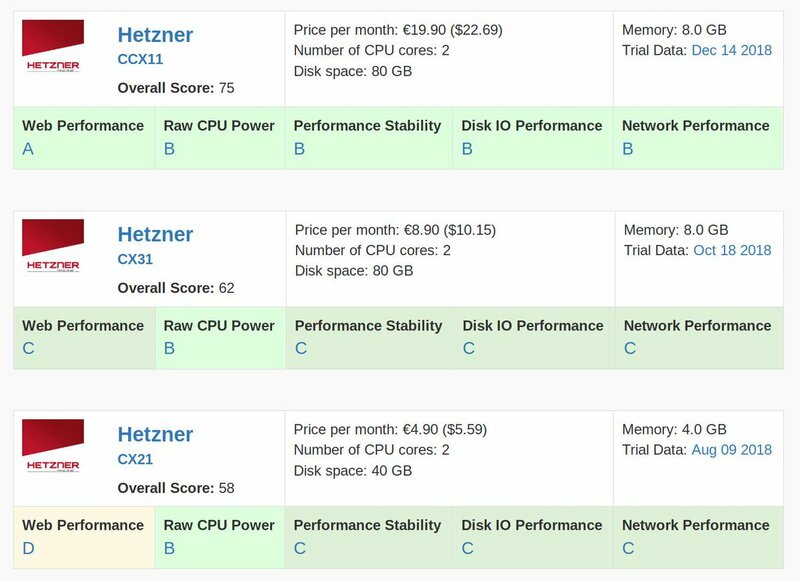 We conducted 5 different types of tests for Ramnode - OpenVZ SSD Premium 1GB. Review the results and compare this plan to its competitors. This plan was tested 9 times at vpsbenchmarks.com. The table below shows all trials run on the OpenVZ SSD Premium 1GB plan and the web response times for every one of those. 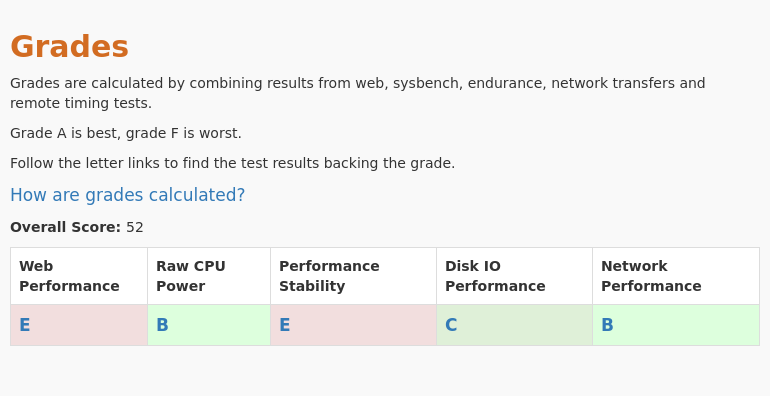 We conducted 5 different types of tests for Ramnode - KVM NVMe Premium 2GB. Review the results and compare this plan to its competitors. This plan was tested 2 times at vpsbenchmarks.com. The table below shows all trials run on the KVM NVMe Premium 2GB plan and the web response times for every one of those. We conducted 5 different types of tests for Ramnode - OpenVZ SSD Standard 2GB. Review the results and compare this plan to its competitors. This plan was tested 1 times at vpsbenchmarks.com. The table below shows all trials run on the OpenVZ SSD Standard 2GB plan and the web response times for every one of those.